The new Advanced Health Sciences Pavilion integrates clinical care and scientific research in a single building. 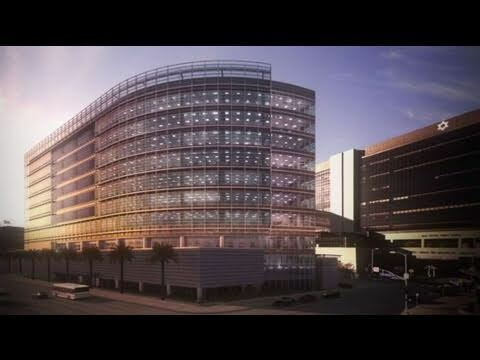 With a research pavilion on the top two floors and clinics on lower levels, physicians can bring scientific breakthroughs to their patients with maximum safety and speed. This “bench-to-bedside” treatment model is key to developing new practices in medicine and provides advanced care for patients. The project won a 2013 design award from the American Institute of Architects California Council. “This is an innovative project done really well, and a slam dunk,” said the awards jury.